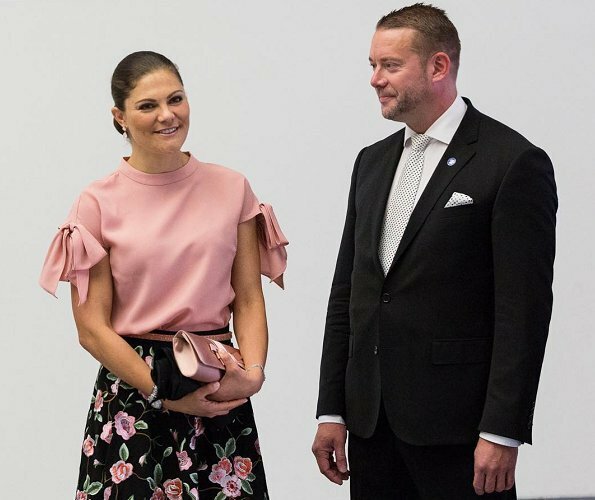 On September 16, 2017, Crown Princess Victoria arrived in Helsinki, Finland. 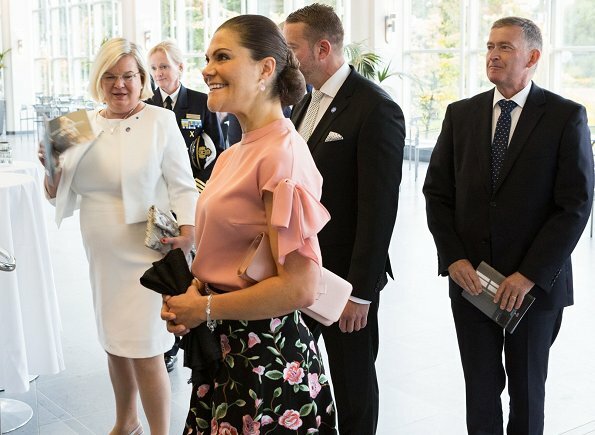 Crown Princess Victoria watched the "Autumn Sonata" opera performance held in connection with the centenary of Finnish independence at the Finnish National Opera (Suomen Kansallisooppera) in Helsinki. 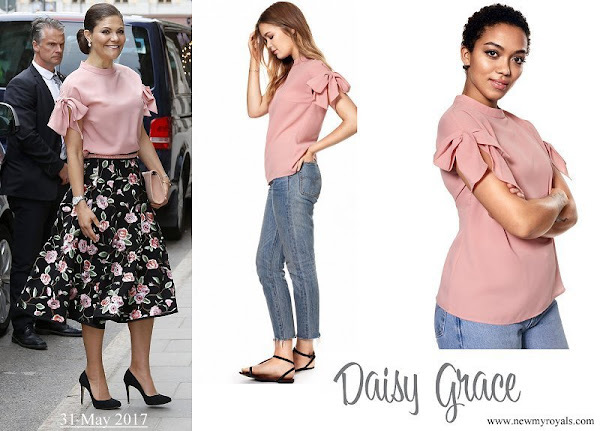 Crown Princess wore a pink top by Daisy Grace. She looks suitable and fresh. What a completely adorable outfit! Perfect swingy skirt length and soft rose color is pretty next to her face. 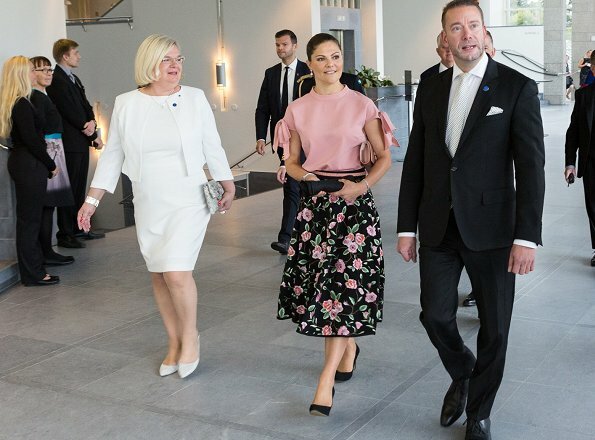 Very pretty outfit - I like both top and skirt. She looks very nice. Feminine. Lovely colors and print on her! The sleeve bows add a perfect feminine accent. I also like the belt and purse carrying the color from the skirt. OK, astute royal watchers-you may be on to something regarding a possible pregnancy. She is covering her midsection in most of the photographs here. Really? I was thinking the same until these pics posted. I really don't think she is. These pics changed my mind, I don't think there is a bun in the oven. Lovely and sadly the slightly fully figure Victoria seems to have had of late seems to have vanished. It would be lovely if Victoria and Daniel were to have another child.